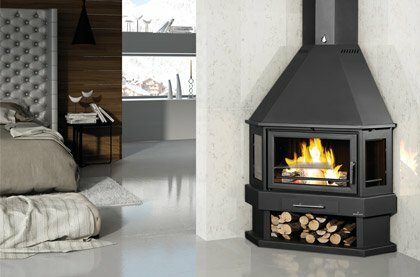 Modern fireplaces or designer stoves and feature wall wood burning or gas stoves or fires that have a big impact on a room, to the extent that they become larger than a meer appliance they become a feature fireplace. 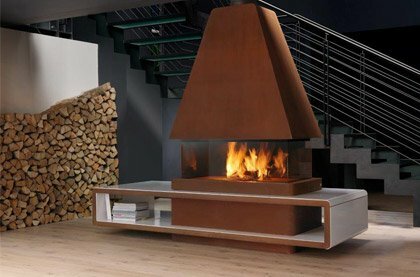 Our range of modern fireplaces consist of central, suspended, corner and wall models that can be hung from a ceiling, freestand in the centre of a room, or placed against a flat wall or into a corner with little to no air gaps required. 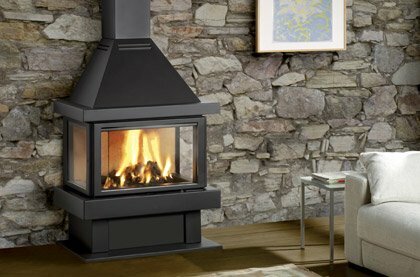 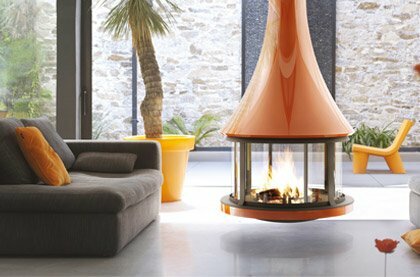 Modern fireplaces are the epitome of stove/fire design.